The Country House Fonte al Noce is situated in Umbria, near Gubbio, perhaps the architectural masterpiece of mediaeval and 14.th century italian civilization. Gubbio is rich in Franciscan history and artefacts. 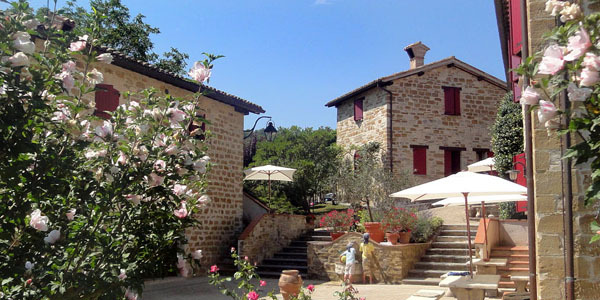 It is a perfect starting point for various excursions: Perugia and Assisi are 40 Km. away; Todi, Spoleto and Frasassi's caves are about 50 Km. 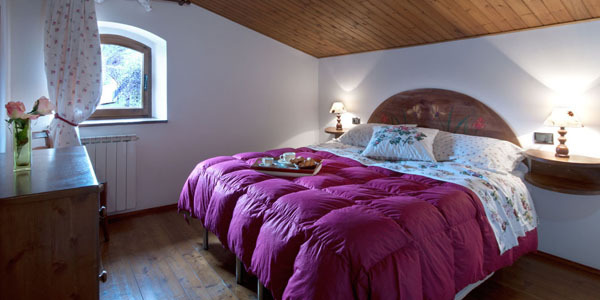 The Country House Fonte al Noce is set in the green landscape of Umbria. It is about 7 Km. from Gubbio and has marvellous views of the whole valley. An ancient mediaeval village has been renovated to preserve the typical style of Umbrian rural building. The different kind of holiday apartments all have an independent entrance, rustic fire-place, well-equipped kitchen and are tastefully furnished. Every appartment has its own sitting area outside with table and chairs. 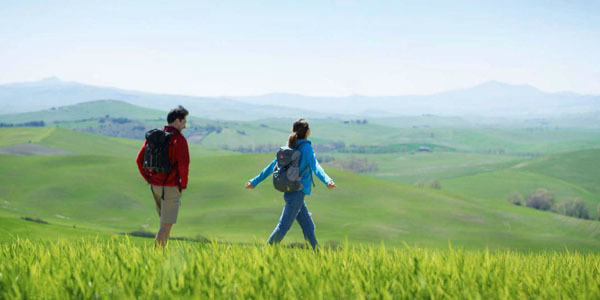 In our Country House, guests can enjoy the beautiful nature that surrounds the area by trekking along the trails in the Umbrian Apennines. Your pets are welcome! 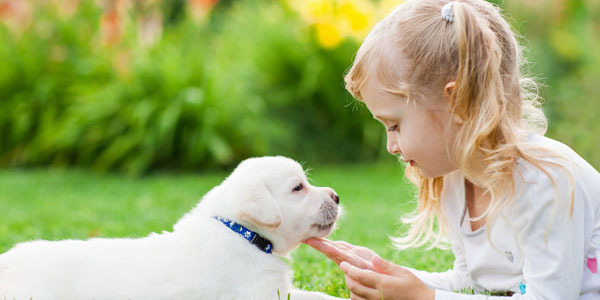 We will be happy to welcome your pets and to offer additional services to make their stay special. 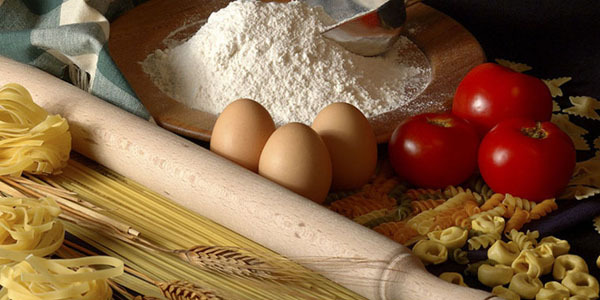 Unforgettable cooking experiences during your holiday in Umbria! Small group cookery classes in the informal atmosphere. A reality almost clinging to the rocks of Mount Ingino, from which walls you can see breathtaking views and landscapes. Worth a visit center of the Roman theater, the church of San Francesco, located where a time was the warehouse of Spadalonga, or the building of Consuls or coeval Palazzo del Podestà. The apartments they are all characterized by a private entrance, a rustic fireplace, kitchenette masonry and fine handcrafted furniture. Wellness Area,tennis court and soccer, panoramic outdoor swimming pool, children's play area, equipped green with benches and gazebo. 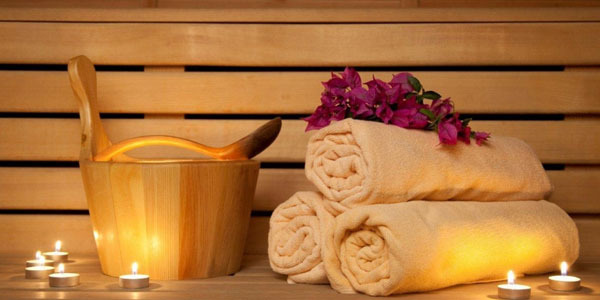 In all periods of the year given to our guests offers and exclusive packages! Call or write ... we will be happy to fulfill your requests! Our Country House is surrounded by green Umbrian countryside. It is about 6 Km From Gubbio and enjoys a splendid view It dominates the rich green valley. Housed in an old medieval village, It has maintained the typical characteristics of Umbrian rural buildings.